Welcome back, viewers! With the Christmas holiday coming up here soon in a few weeks, I decided to create a post that could help you bring the holiday spirit to your home! Below I’ve included a recipe for Triple Decker Hot Chocolate Stir Sticks. They’re fun, easy, and delicious. Enjoy! 1. Gather up the goods. 2. Unwrap the candy sticks and skewer two or three marshmallows on each. To make things easier, you can stick a knife through the marshmallows first, then push the candy through. 3. Melt your chocolate according to package directions. (I like to put the chocolate in a mug or other small but deep container because it’s easier for dipping.) 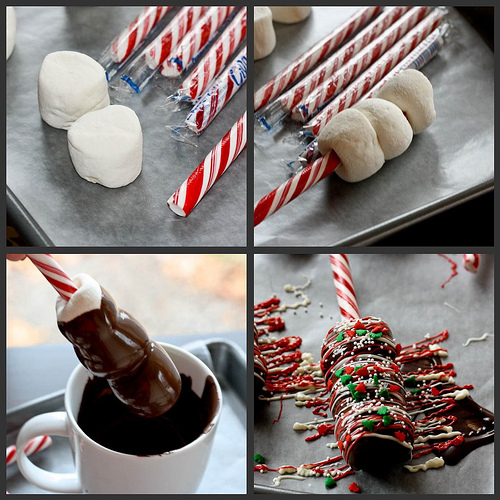 Dip the marshmallow sticks in, and place on a wax paper lined baking sheet to set. 4. 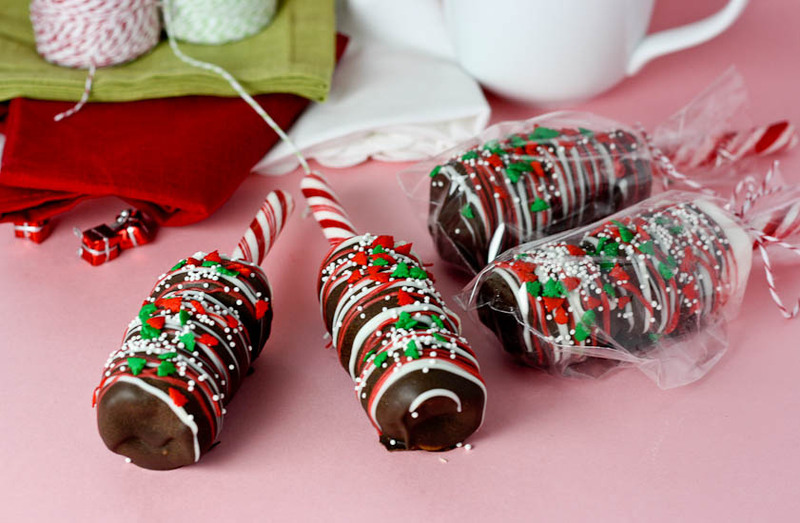 Before the chocolate is set, melt the white and red candy and drizzle back and forth over the chocolate. Sprinkle immediately with Christmas sprinkles. © 2019 Danielle's DIY Blog is proudly using custom Pure II theme by Dannci and Type The Font.